Throughout Spain, lively white verdejo wines are well known, the sort of pours you might sip alongside a nibble of tapas. Here, the wines are just a blip on the radar, but Boston sommeliers are discovering new bottles hailing from a lesser-known region in central Spain. That place, Rueda, is about 100 miles northwest of Madrid in Castilla y Leon. It underwent a transformation in the 1970s when a major producer in Rioja, Bodegas Marques de Riscal, invested in the region’s white wines made from the verdejo grape. (Before that, the area’s palomino grapes were destined for fortified winemaking.) The investment led to production of quality pours that in 1980 earned Rueda its denomination of origin, a regulatory classification for wine. Until recently, much of the verdejo here has been crafted well enough, but was often dull and lacking in character. Nowadays, it is easier to find diverse, artisanal examples, made by the next generation of Rueda winemakers. Three of them are the Herrero Vedel brothers José Maria, Juan Miguel, and Javier, who were urged by an investor to boost production at the winery founded by their late father. The brothers knew that would mean a sacrifice in quality. 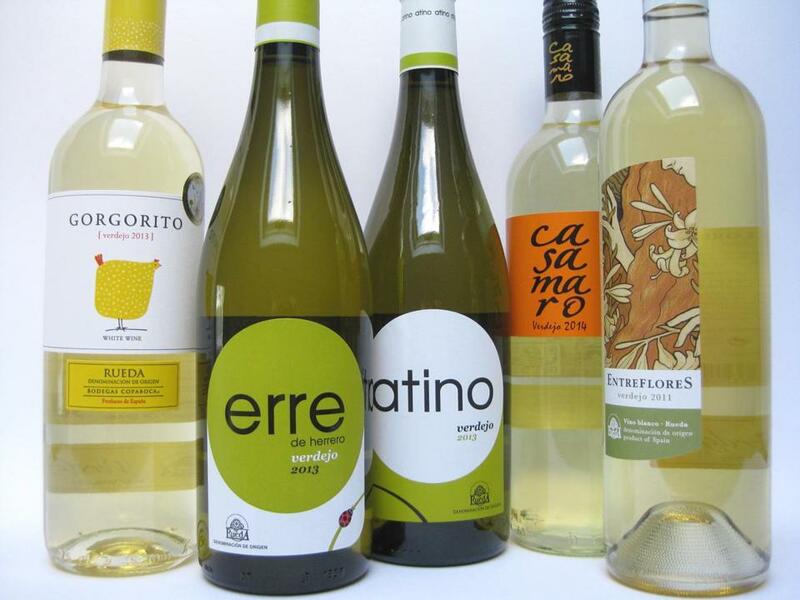 They exercised their option to be bought out by that investor, and started a new venture called Herrero Bodega, focused on making verdejo from the family’s old vines, grown in higher elevation plots near Segovia. They harvest at dawn, knowing that cool morning temperatures help preserve the condition of the fruit. Grapes are pressed within hours of picking and juice from each vineyard plot is vinified separately. Batches are later blended to achieve fresh, distinctive styles. A bottle’s back label sporting the Rueda insignia and the name “verdejo” in green script indicates a pour crafted from at least 85 percent of that grape, with sauvignon blanc or viura (macabeo) typically making up the balance. All these bottles have a food-friendly range of 12.5 to 13.5 percent alcohol by volume. Don’t let the somms have all of the fun. Discover some of these for yourself. Bodegas Copaboca “Gorgorito” Verdejo 2013 Fresh and inviting, this verdejo-sauvignon blanc blend offers aromas of yellow fruit and stones, plus a citrusy palate tinged with young apricot. Appetizing bitterness characteristic to the grape calls out for salads full of herbaceous greens. Around $11. At Idylwilde Farms, Acton, 978-263-5943; Wine Sense, Andover, 978-749-9464. Herrero Bodega “Erre de Herrero” Verdejo 2013 This sophisticated 100 percent verdejo expresses clean peachy aromas, spring petals, and a hint of green grass. Saline, mineral, and bitter herbal notes create a profile that is almost savory, supporting green apple, stone fruit, and bright acidity. Around $17. At Dave’s Fresh Pasta, Somerville, 617-623-0867; Medfield Wine Shoppe, Medfield, 508-359-4097. Herrero Bodega “Atino” Verdejo 2013 A playful, pretty example of 100 percent verdejo with peach and clover on the nose. Young and fresh with the barest hint of prickle on the first sip. Around $15. At Dave’s Fresh Pasta; Medfield Wine Shoppe. Garciarevalo “Casamaro” Verdejo 2014 Sweet scents of cling peach are primary in this fruity blend of mostly verdejo with a splash of viura. A delicious aperitif wine to serve with a wedge of creamy chevre. Around $11. At Dave’s Fresh Pasta; American Provisions, South Boston, 617-269-6100. Entreflores Verdejo 2011 Aromas of honey, ripe peach, and hyacinth lead to a rich palate featuring stone fruit, admirable acid balancing alcohol, and a dollop of attractive bitterness in this all-verdejo pour. Around $14. At Pairings Wine and Food, Winchester, 781-721-9463; Sea Glass Wine & Beer, Swampscott, 781-595-9463.